Good policy starts with good data, which is why the work of Together for Girls (TfG) begins with nationally representative Violence Against Children Surveys (VACS), led by the Center for Disease Control and Prevention (CDC) as part of the TfG partnership. The VACS generate data on prevalence and incidence of physical, sexual, and emotional violence as well as risk and protective factors, consequences of violence, and access to services. VACS have generated data for almost 10 percent of the world’s youth population (aged 13–24). VACS data catalyzes and informs national action to prevent and respond to violence. With strong data to guide the way, national governments lead the development and implementation of a comprehensive multi-sector policy and programmatic response to violence against children (VAC). To date, seven countries have developed comprehensive, multi-sectoral responses to prevent and respond to VAC as the result of VACS surveys. The experience of every VACS country that has developed a national response is slightly different, but strengthening research capacity and institutional capacity building, especially intra-government agency coordination and external stakeholders, are two recurring issues. This is especially important and relevant within the multi-sectoral task force, the government entity responsible for developing a coordinated, multi-sector national action plan on violence prevention and response. 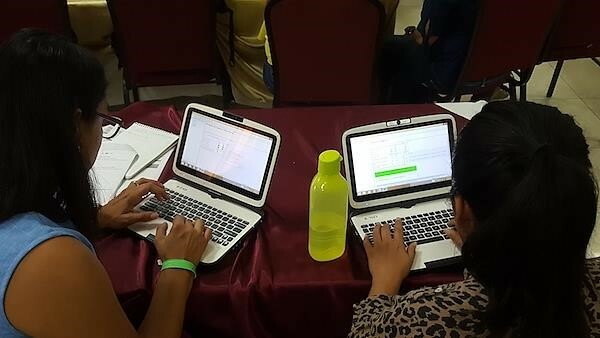 With funds received from the SVRI WBG Development Marketplace Award for Innovation on GBV Prevention and Response, TfG, in collaboration with the CDC, is piloting a Data-to-Policy Fellowship in Honduras, the latest TfG country to complete data collection for the VACS. The Fellowship is part of TfG’s broader effort to promote evidence-based policies and programs to address VAC and support governments undergoing the VACS initiative. CDC, TfG and global experts in the field of VAC, violence against women (VAW) and community violence will provide ongoing mentorship. We work at the intersection of VAC and VAW and are committed to bringing attention to adolescent girls who often remain invisible or fall through the cracks in the development of policies and programs to end VAC and VAW. We will work closely with the Fellow to make sure that the country's policies and programs are gender-responsive. TfG and CDC identified the Fellowship awardee through a consultative process with in-country partners. The Data-to-Policy Fellow leads several initiatives of the Sub Secretary for Security in Prevention, the lead agency of the multi-sectoral task force, and has a background in violence prevention and VAW. Ultimately, we want to see national action that leads to real changes in Honduras, like the ones mentioned above. TfG will be monitoring intermediate results to make sure we are on track to achieve our end goal. Intermediate results include an institutional mapping of the work being done in Honduras, strengthening understanding of VACS methodology and analysis within the multi-sectoral task force, integration of VACS findings into the draft VAC national action plan, and the use of INSPIRE as a framework for the national action plan. TfG is committed to bridging the gap between data and action and supporting government-led, national action across sectors to prevent and respond to VAC. Together for Girls (TfG) is a partnership between national governments, UN agencies and private sector organizations, working at the intersection of violence against children (VAC) and violence against women (VAW), with special attention to sexual violence against girls. TfG works across three pillars of action: (1) Nationally representative Violence Against Children Surveys (VACS), led by CDC as part of the TfG partnership; (2) Nationally-led multi-sectoral VAC prevention and response; (3) Global advocacy and awareness-raising. Founded in 2009, TfG is now active in more than 20 countries.